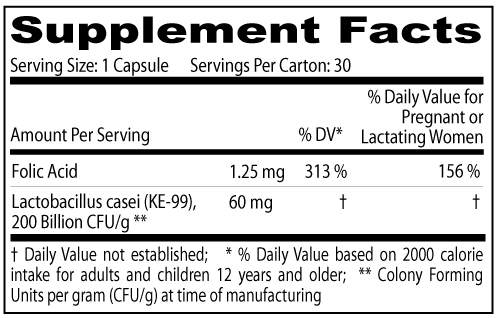 DOSAGE AND ADMINISTRATION:Adults (persons over 12 years of age), one (1) capsule daily, between meals, or as prescribed by a physician. Do not exceed recommended dosage. Do not administer to children under the age of 12. You should contact your healthcare provider for medical advice about adverse events. To report a serious adverse event, contact US Pharmaceutical Corporation, P.O. Box 360465, Decatur, GA 30036. PRECAUTIONS: As with other nutritional supplements, consult a physician if you are taking medications, diabetic, are pregnant or nursing; keep out of the reach of children and pets. PRECAUTIONS: Folic acid in doses above 0.1 mg - 0.4 mg daily may obscure the signs and symptoms of pernicious anemia, in that hematological remission can occur while neurological manifestations remain progressive. The use of this product by immunocompromised patients or treatment of any disorder must be medically supervised by a physician. HOW SUPPLIED: Restora Rx™ are light blue opaque capsules printed with "US" logo and "R207" in white. Child resistant bottles of 30 capsules NDC# 52747-207-30. Dispense in a tight, light-resistant container as defined in the USP/NF with a child resistant closure. Store at controlled room temperature 15° to 30°C (59° to 86° F). Keep in a cool, dry place. Manufactured with Vcaps® Plus capsule shells. Marketed by US Pharmaceutical Corporation.